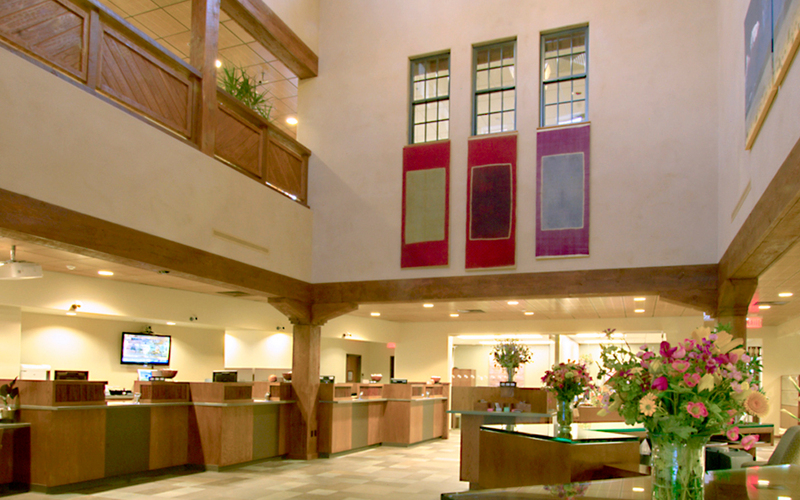 Interpreting elements of regional architecture, the Los Alamos National Bank building design blends traditional proportions and features with contemporary details. 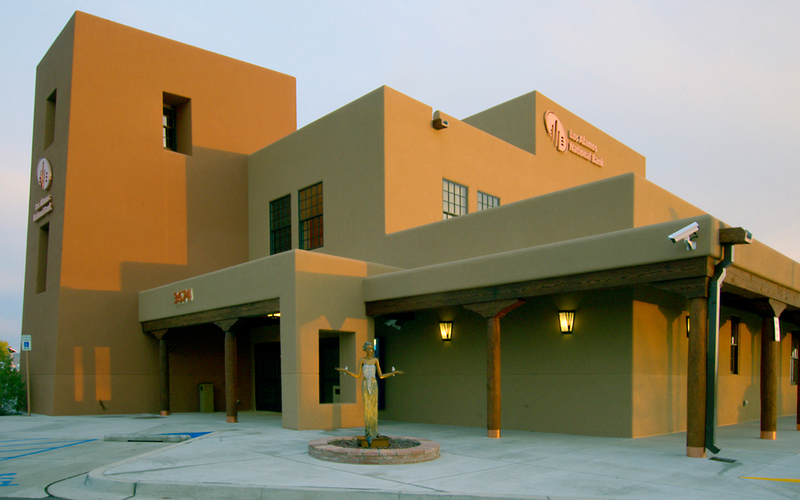 The branch office is a highly visible example of environmental stewardship and it is the first building completed in New Mexico to incorporate an integral building design process using Building Information Modeling (BIM). The floor plan design was inspired by the traditional placita with functions surrounding a central plaza and clerestory windows provide diffused daylight to this interior courtyard. LANB requested spaces that could provide privacy and confidentiality while departmentalizing some of the traditional banking functions. Plastered walls, beams and corbels of reclaimed wood, custom chandeliers, and porcelain tile floors contribute to the overall regional experience while full frameless glass walls and state of the art technology form a counterpoint that expresses the cutting edge business strategy of LANB.